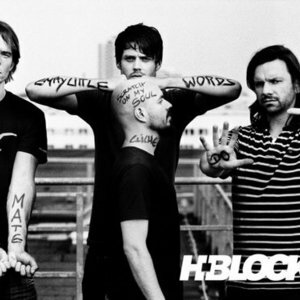 H-Blockx is a German crossover band founded 1991 by Henning Wehland while still going to school in M?nster, Germany. The bands name is a tribute to the 1981 Irish hunger strike participants inside Her Majesty's Prison Maze, which was colloquially called "The H Blocks". In 1993, the band released their first single, Rising High. The track was extensively played in clubs and sold over 10,000 copies without a video or any advertising whatsoever. In 1993, the band released their first single, Rising High. The track was extensively played in clubs and sold over 10,000 copies without a video or any advertising whatsoever. The band rose to fame with their successful first album Time To Move, released in 1994. Part of this success was due to MTV and their repeated airplay of the videos for the "Risin' High" and "Move" singles. H-Blockx earned a nomination for "Best Breakthrough Artist" at the following MTV music awards (but lost to Dog Eat Dog). With the help of the singles "Risin' High", "Move", and "Little Girl" their debut album spent 62 weeks in the German album chart, selling over 750,000 copies worldwide, and earning the band their first gold album. H-Blockx is still active to this day and are regularly releasing new albums, though none of them have caught the public or MTV's eye like "Time To Move" did. However, they had a minor hit in 2002 with a cover of Snap! 's "The Power".